Community Eye Care has been nominated for a Premier’s Award. An award-winning innovative care model pioneered by the Westmead Eye Clinic has been nominated for a NSW Premier’s Award. Community Eye Care improves access to ophthalmic services through a streamlined referral and assessment system. 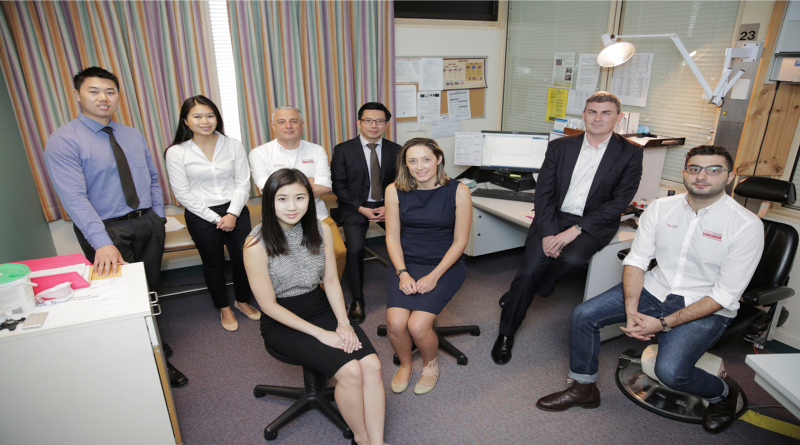 It’s a partnership with local optometrists to help the Westmead Eye Clinic deliver the most appropriate services to patients with low risk glaucoma and diabetic retinopathy, which are major causes of visual impairment in Australia. Patients undergo assessments by community-based optometrists and the files are electronically transferred to Westmead for review. Service Coordinator at the Community Eye Care Project at Westmead, Belinda Ford said the innovative system helps decide if the patient needs to come into the hospital or stay in the community for their care. “So it helps us streamline the services and it helps us make sure that the right patients get seen in the right place at the right time,” Belinda said. There are two Community Eye Care clinics, one in Blacktown and the other in Parramatta. The innovative model has resulted in a 62 per cent reduction in the need for hospital appointments. “So it means that the patients that we are sending out there don’t need to come into hospital, but also at the same time it means patients who do need to come into hospital can get into those appointments faster,” Belinda said. In fact, the system has led to an eight week reduction in the waiting list for patients requiring treatment at the Westmead Eye Clinic and a faster turnaround for patients with non-acute eye disease. “We’re helping low risk patients get access to care but we’re also improving access to care for patients with higher risk who need treatment,” she said. The service has also resulted in a 22 per cent reduction in costs to the health system. Community Eye Care, which commenced in January 2017, won last year’s NSW Health Innovation Award for delivering integrated care. It has now been nominated for the NSW Premier’s Award in the category of improving access to health services. “To have these improvements in such a short amount of time is quite exciting but we’re also hoping that other services across NSW will see the success of this service and take on this type of model for their service delivery,” Belinda said.